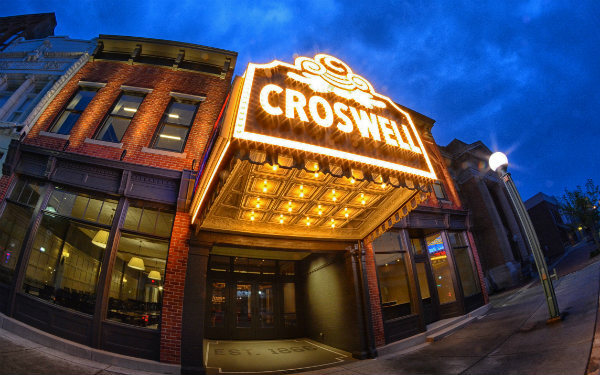 In addition to serving our community and region with high-quality theater, the Croswell Opera House is committed to educating young people in our community, both those who attend our productions and those who participate as performing artists. ART.D.1.HS.4: Demonstrate projection while performing dance skills. ART.D.1.HS.5: Demonstrate the ability to remember and perform extended movement sequences. ART.T.II.HS.2: Individually and in ensemble, create and sustain characters that communicate with audiences. ART.M.I.HS.1: Sing and play with expression and technical accuracy a large and varied repertoire of vocal and instrumental literature with a moderate level of difficulty, including some selections performed from memory. ART.M.1.HS.2: Sing music written in four parts, with and without accompaniment. ART.M.1.HS.3: Perform an appropriate part in large and small ensembles, demonstrating well-developed ensemble skills. ART.M.1.HS.5: Perform from an instrumental or vocal score of at least four staves. Most of our other productions are multi-generational, and because a large number of Croswell alumni are now working professionally in the performing arts, we are able to invite them back and offer younger performers a chance to work with those who are making a living in their chosen field. In addition, we offer paid summer internships for college students, bringing high-quality technical theater experience within reach for students who would not necessarily be able to finance a summer of unpaid work.